Above, on the second floor A3-B2 bridge looking toward the galley...blocked off for the beginning of the floor replacement (RB). 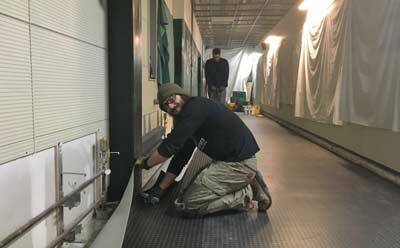 While the 2018 winter crew was the smallest (40 people) since 1998, before the beginning of the elevated station construction, there was still some time for winter construction projects. The station subfloor, consisting of fiber cement board (FCB), has not held up well. Partly because the original 7/8" thickness ran out and two thinner 7/16" layers were substituted...and also because during elevated station construction including during my 2005 winter, heavy cart loads were transported up and down the corridors. This was the third winter of this project..in the past two winters the floor on the second level of A2 was reworked. This year the target was the entire second level A3 corridor. The replacement subfloor was a single 7/8" layer, along with new vinyl (RB photo). 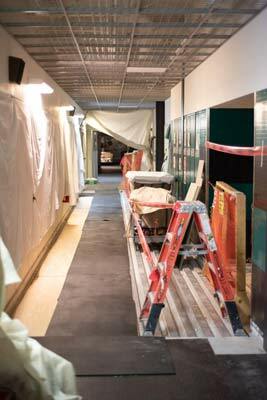 A view of the work in progress, looking toward the galley from in front of A4. As no one lives in A4 during the winter, the project was not nearly as disruptive as previous work in front of A1. And the hallway was kept open during non-working hours. 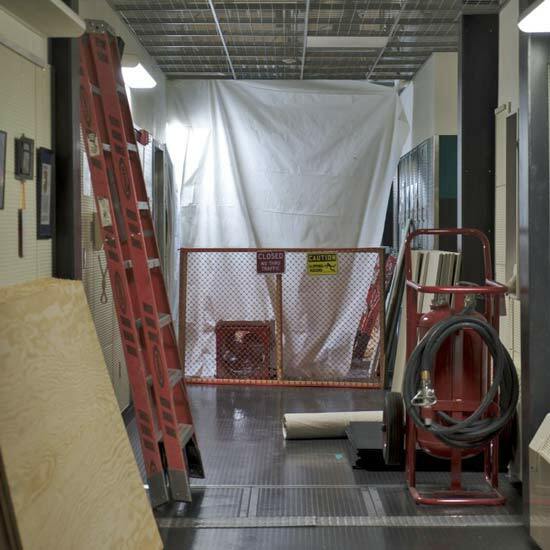 The winterover photo gallery on the left side of the hallway has been protected from construction dust (JW). 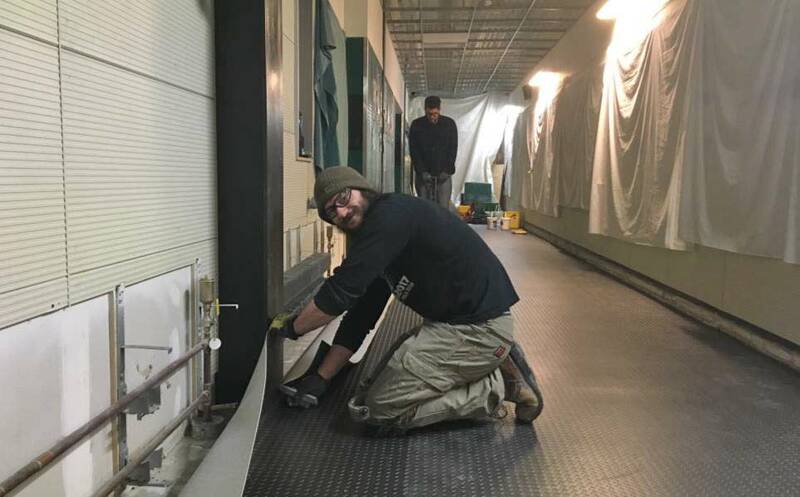 Peter Gougeon and Ted Violette are seen installing some of the new vinyl flooring at the beginning of August (MT). Photo credits: RB and JW are the IceCube winterovers Raffaela Busse and Johannes Werthebach; MT is the winter site manager Marco Tortonese.